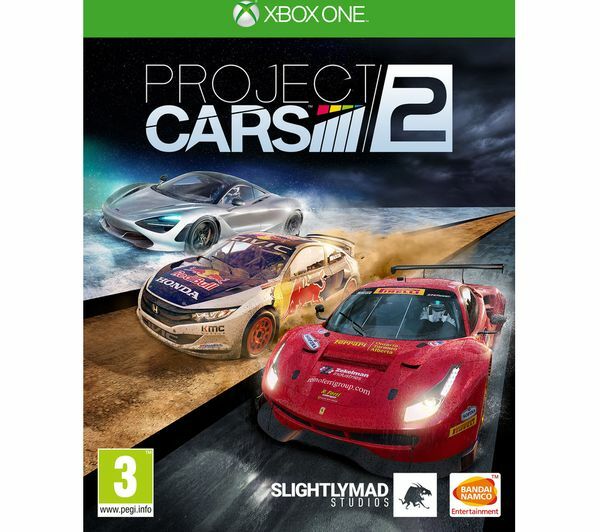 Explore the wastelands, take to the track and fight your way to victory with the Microsoft Xbox One S, Fallout 76, Project Cars 2 & Tekken 7 Bundle. 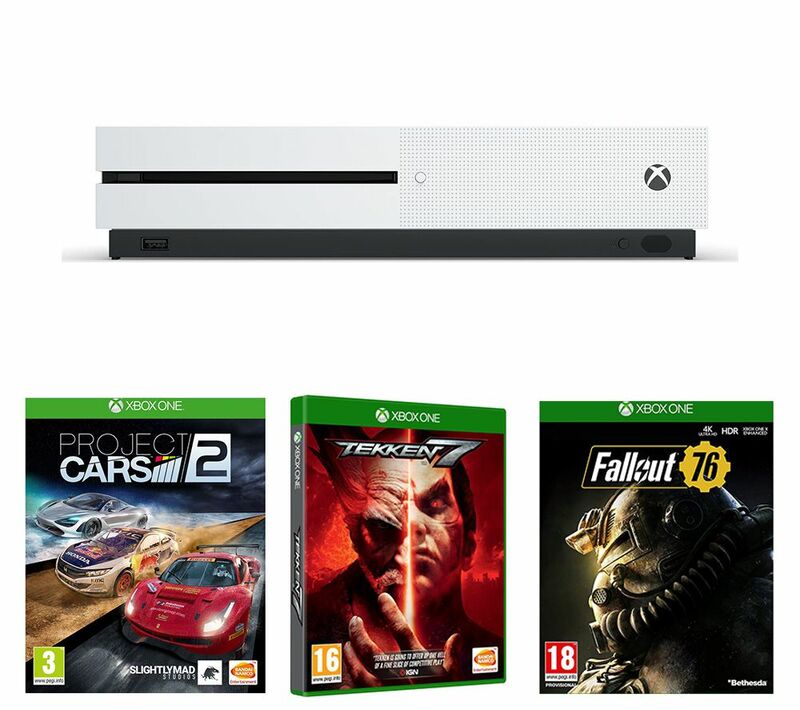 Play from a selection of over 1300 amazing games with the Xbox One S. From the biggest blockbuster titles and Xbox exclusives, to iconic franchises that everyone's grown up playing, you'll have loads of choice. 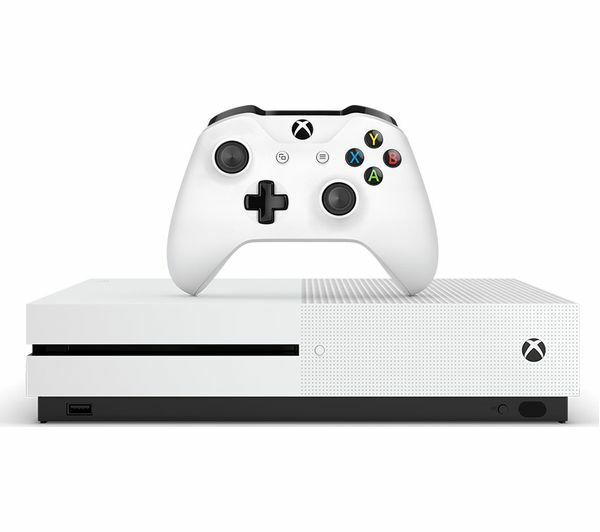 If you've got a 4K TV, the Xbox One S lets you make the most of it – you can stream 4K shows from Netflix or Amazon, and watch your favourite films on 4K Blu-ray. Everything you watch will be in incredible Ultra HD detail. Your games and films will also be enhanced with Dolby Atmos and DTS:X audio. You'll get better surround sound if you use a headset, and every film you watch will be even more cinematic. 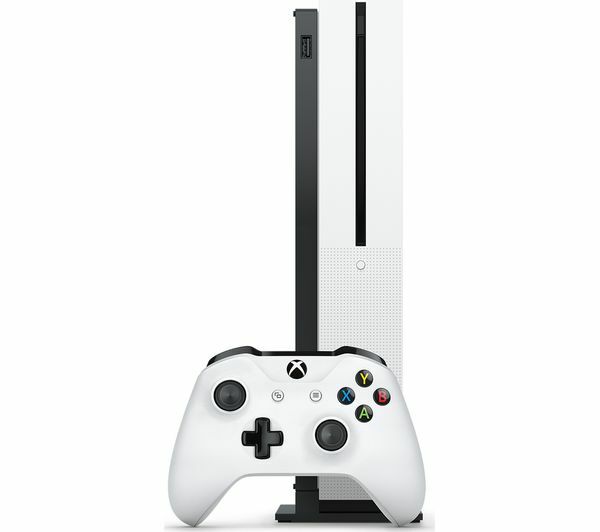 The Xbox also makes a great first console for younger family members. You can keep an eye on your child by setting content filters and purchase limits, and you can decide who's allowed to engage with your child when they're gaming. 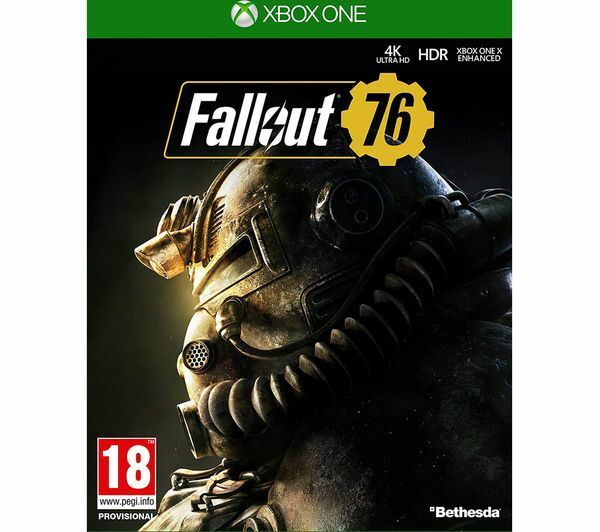 Explore the post-apocalyptic world of Fallout 76 online, where every surviving human is another player from around the world. 25 years after the bombs fell, you and your fellow Vault Dwellers have the opportunity to explore post-nuclear America. Whether you choose to strike out alone or work as part of a team, you can explore, build and conquer the wasteland. With realistic weather and temperature changes that change the grip physics, you can put your skills to the test. Race in each season to feel the full range of climate effects on racing, and learn to be the ultimate adaptable racer. Select from a roster of over 30 characters, for complete freedom of choice over your fighting style. 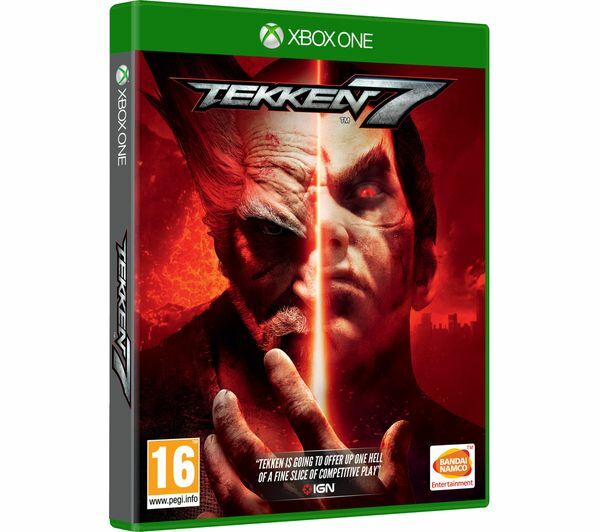 You can find your favourite fighter, discover deadly techniques and pair the perfect combos to win every fight.